Ice cream is great, but it’s always better when it’s turned into a creamy milkshake, and infused with your favorite candy pieces. 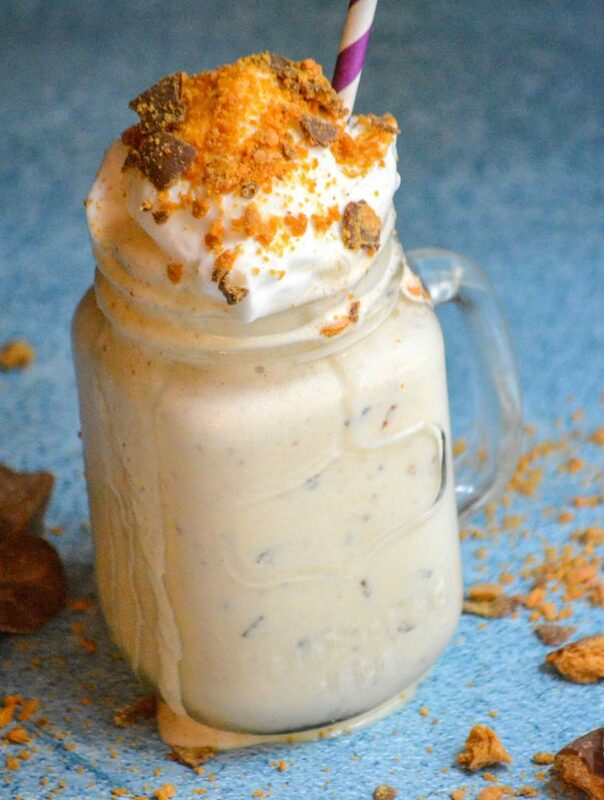 Our Butterfinger Candy Milkshake is just the ticket for easy dessert enjoyment. 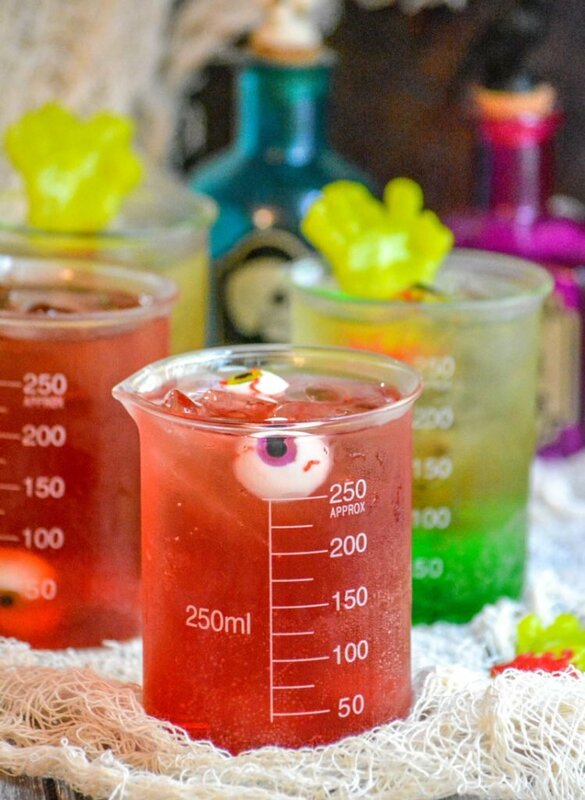 Do you want your Halloween party to set the bar and impress all the guests, then you want our recipes for Little Monster Halloween Mocktails. A sweet, layered, festive drink- these will appeal to all of your guests! A quick & easy, oh so creamy white cheddar mac & cheese has been given a spooky spin. 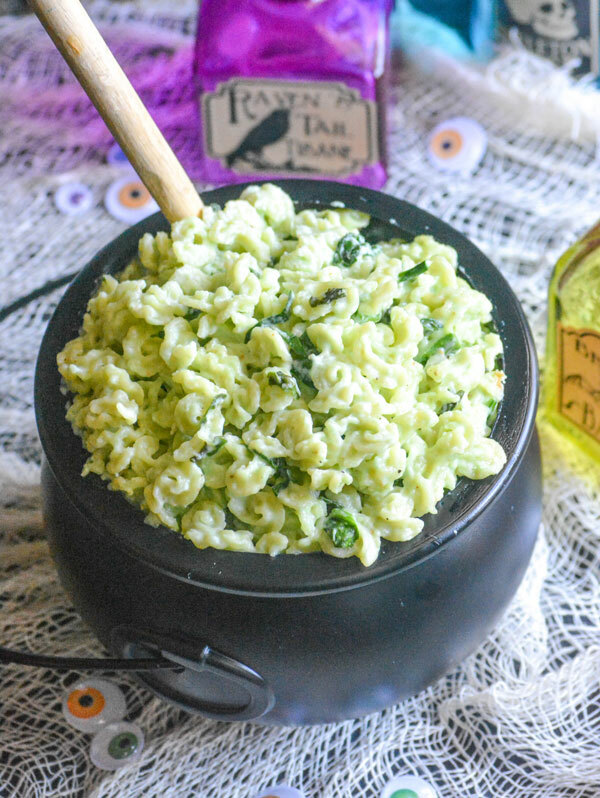 Double Double Toil & Trouble Macaroni & Cheese is a filling dinner, and the pasta dish that’s perfect for getting the family into the spirit of Halloween. Looking for an easy way to infuse some fun into your kids’ afternoon snack? 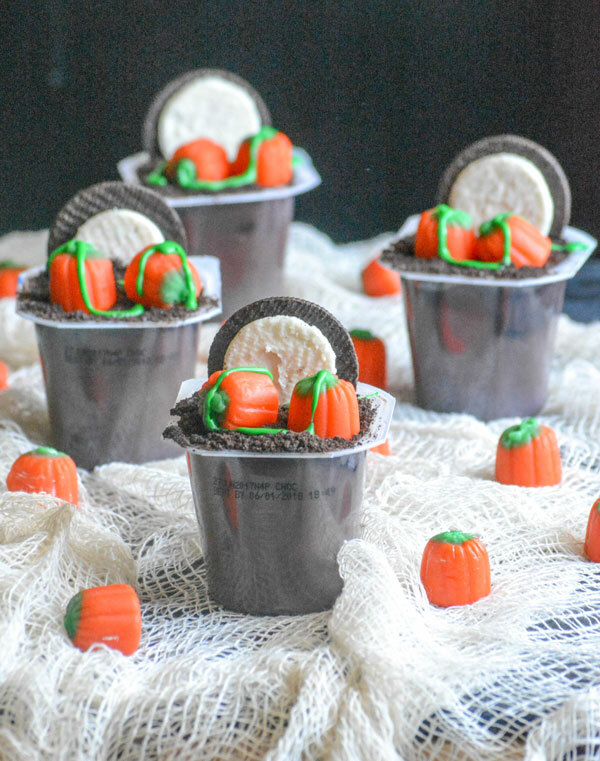 These Moonlit Pumpkin Patch Pudding Snacks are fun, festive, and a great way to get everyone excited for Halloween. 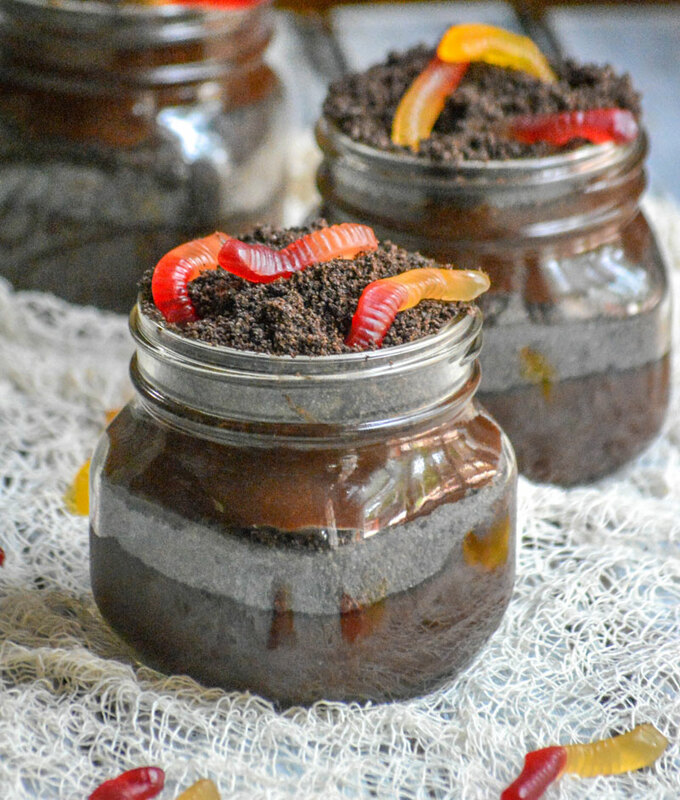 Just like your annual visit to the pumpkin patch, these yummy pudding cups are meant to be shared. A fun, spooky addition to any Halloween party, this ‘Shrimp On The Brain’ Cracker Spread is simply ‘boo’-tiful. 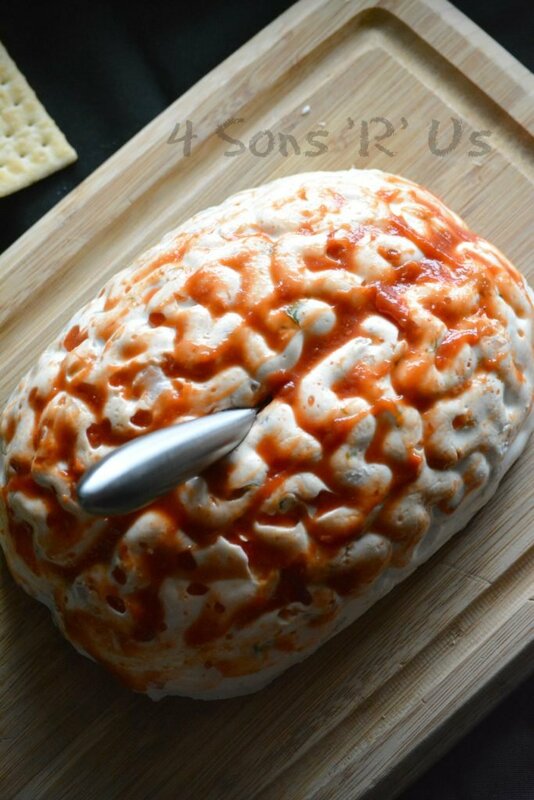 It looks just like a fresh, bloody brain, but it tastes like a creamy, flavorful shrimp dip that the whole family will love. 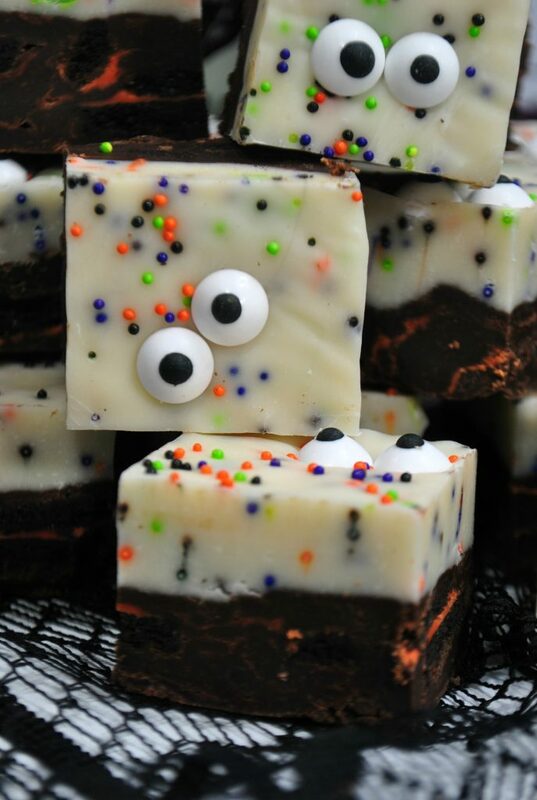 Snag a few of those candy bars collected on Halloween and whip up one magical treat. 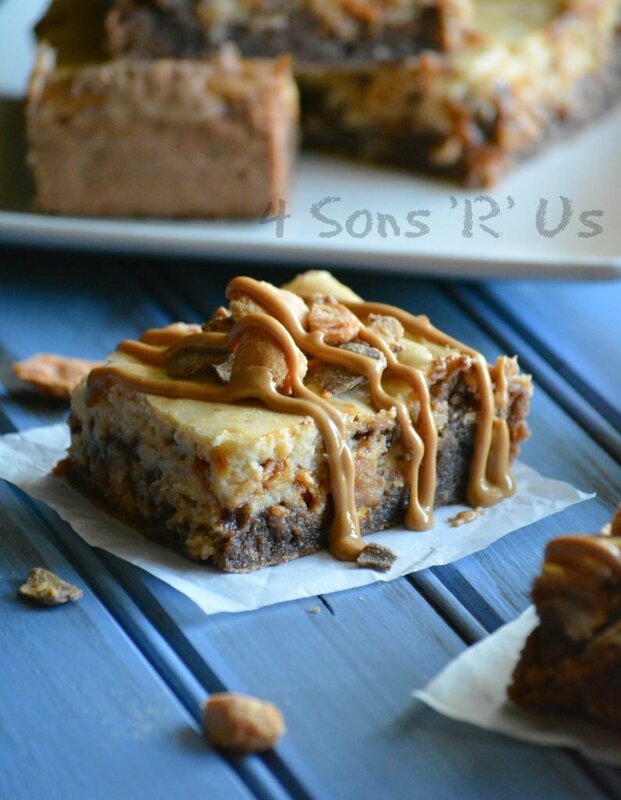 These Butterfinger Cheesecake Brownies are a dessert worth drooling over. Fudgey brownies + a rich Butterfinger-flavored cheesecake swirl + a creamy peanut butter drizzle = a dessert lover’s dream come true. 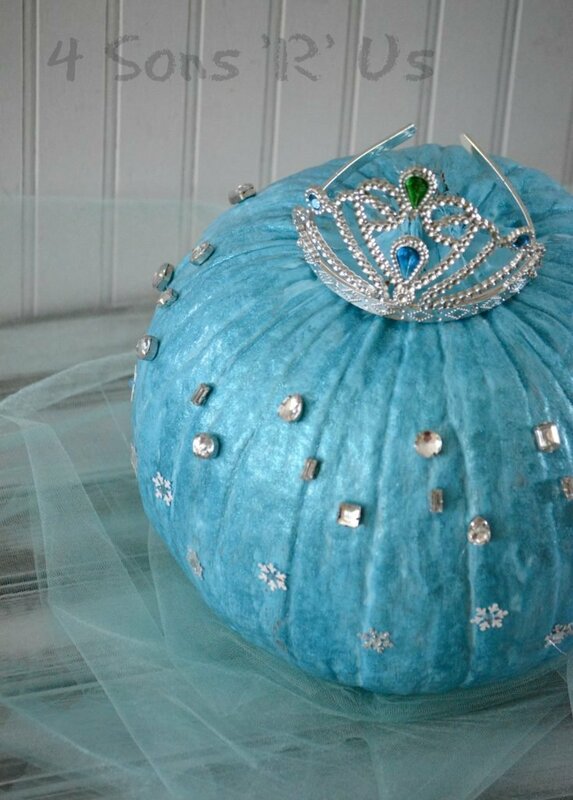 Another Halloween happened, and that means another year with lots of leftover candy from goodies. You could pilfer some pieces from the kids stash, OR as I like to do (because I would never take candy from my babies, oh no, never ever) stock up the day after when everything’s at least 50 % off if not more. That’s how I spent less than $10 and brought home a cart full of candy, and chocolate. And it gave me the perfect excuse (for these I would have happily grasped at any straw of an excuse though) to mix up the most amazing trifles we have ever tasted.